Value for Money!!! "Very Versatile BM 58 Sprinter Miler"
BEST FORMLINES: "Saucy Mary", "Dolly's Due", "Keep The Magic" , "True Worth", "Suneeze" & "Friskee One"
SPINNING WORLD (USA) (Chestnut 1993-Stud 1998). 8 wins-2 at 2, Breeders' Cup Mile, Gr.1. Sire of 925 rnrs, 624 wnrs, 43 SW, inc. Heavenly Glow (STC Arrowfield Stud S., Gr.1), Ancient World, Special Harmony, Spin Around - Better Boy (H.K. ), Thorn Park, Spinning Queen, Arlingtonboulevard, Lyrical Bid, Duff, Echoes in Eternity, Kosi Bay, Super Profit, Spin 'n Grin, Spinola, Coupe, Visionario, Common World, Changing World, Our Quivira, etc. Manning Road (f. by Casino Prince). 5 wins from 1400m to 2400m, A$121,796, to 2018-19, MRC Yulong H., 2d MVRC Hellenic Hotel Williamstown H., MRC (Mornington) Highview Accounting H.
The Walrus (g. by Spinning World). 5 wins. See below. Lope de Mango (f. by Lope de Vega). 3 wins to 1300m to 2018-19 in Aust. Bling 'n' Bubbles (f. by All Too Hard). Winner at 1300m in 2018-19 in Aust. DOURO VALLEY (Encosta de Lago). Joint second on 2008-09 Australasian 4YO+ Classification (intermediate). 8 wins from 1400m to 2100m, A$1,230,090, MRC Yalumba S., Gr.1, Naturalism S., L, Diatribe H., So Called H., Tatura Cup, 2d MRC Caulfield Cup, Gr.1, South Australian Derby, Gr.1, MRC Sandown Classic, Gr.2, Eclipse S., Gr.3, Easter Cup, Gr.3, VRC Chubb S., L, Warrnambool Cup, 3d MRC St George S., Gr.2, VRC Decjuba P., Dalray H., MRC Mick Bolch H., Wimmera RC China Bowl, Ballarat TC Gold Nugget H., 4th VRC Australian Cup, Gr.1, Turnbull S., Gr.1, BTC Premier's Cup, Gr.3, MRC Coongy H., Gr.3, VRC Auckland Racing Club Metric Mile H., L.
STELLAMAC (Mull of Kintyre). 4 wins. See above. Sansui Drawing. 4 wins from 1400m to 2100m, A$84,470, 2d ATC Cas P., 3d ATC McGrath Estate Agents Tracey Dixon H.
Trajectory. 3 wins at 1400m, 1600m to 2018-19 in Aust. Manhattan Gangster. 2 wins at 2000m, 2200m in 2018-19 in Aust. Northern Sun. 2 wins at 1100m, 1200m, Singapore TC Class 4 H., Super Ninetyseven S., 2d Singapore TC Class 3 H., Class 4 H., 3d Singapore TC Class 3 H., Class 4 H.
Cirrus. 2 wins at 1200m, 1500m in Aust. Onaclearday. 2 wins at 1200m, 1400m in Aust. Commonwealth Bay. 2 wins-1 at 2-at 1100m, 1600m in Aust. Gellard. 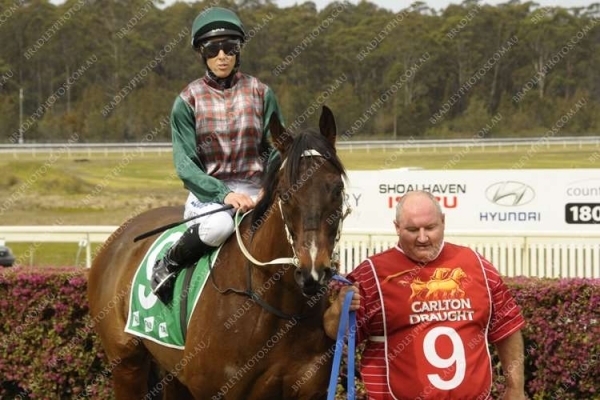 Winner at 1400m in Aust. Air Diamond. 5 wins to 1500m in Aust. Young Douro. 2 wins at 1200m, 1300m to 2018-19 in Aust. Mr Zaharakis. 2 wins at 1300m, 1500m in Aust. Spanish Crown. Winner at 1500m, QTC Bengalla Lad H.
Forgotten Toy. 3 wins to 1500m in Aust. More Memories. Winner at 1400m in Aust. Speedy Squib. 6 wins at 1100m, 1200m, A$89,555, ATC Tab.com.au H.
Sutton Bay. 8 wins-1 at 2-from 1300m to 2400m, A$98,440, VATC Stramit Industries H., VRC Hickenbotham H., 2d MVRC Moonee Valley Functions & Events H., Buttercup Bread H., VATC M O'Shanassy H., 3d VATC City of Springvale H., Belmont H., Deakin H.
Skiddoo. 3 wins to 1400m, VATC EH Williams H., 2d VRC William Inglis & Son H., VATC Special H., Twilight Glow H., MVRC Strawberry Road H., 3d VATC Coral Sea Battle H., Lillimur H., Leica Show H. Producer. VAIN ROSSI (Taj Rossi). Winner at 2, VRC Maribyrnong Trial S., L, 3d VATC Debutant S., Gr.3. Love in the Clouds (Plush). Placed. See above. Race Record: 40 Starts 5-3-1 A$52,411. 5 wins from 1300m to 1600m to 2018-19 in Aust. (0.0) Warrnambool RC Chris Kavanagh Relocations Maiden P., A$17,000, 1200m, time 1:14.28. Track heavy(8). Carried 58.50kg. The Tar Man was 1st and Overberg 1st and Rare Choice 3rd. Trainer: Aaron Purcell. Owner: Purcells Enjoy Racing (Mgr: J D Purcell), L W Anderson, M J Donegan, S Nikolovski, M P Joyce, A R Duncan, D P Waddingham, D J Crawford, N J Carlton, P L Jones, D V Leonard & A C Ca. Jockey: E Creighton. (9.0) MRC Follow at WillHillAus on Instagram H., A$35,000, 1500m, time 1:31.30. Track good(3). Carried 59.00kg. Miss Maggiebeel was 1st and Leneva Rose 2nd and Ronn's Moss 3rd. Trainer: Aaron Purcell. Owner: Purcells Enjoy Racing (Mgr: J D Purcell), L W Anderson, M J Donegan, S Nikolovski, M P Joyce, A R Duncan, D P Waddingham, D J Crawford, N J Carlton, P L Jones, D V Leonard & A C Ca. Jockey: D Oliver. (8.1) Terang RC Jim McKinnon H., A$35,000, 1406m, time 1:24.59. Track good(3). Carried 55.50kg. Shintaro was 1st and Artie's Shore 2nd and Not to Know 3rd. Trainer: Aaron Purcell. Owner: Purcells Enjoy Racing (Mgr: J D Purcell), L W Anderson, M J Donegan, S Nikolovski, M P Joyce, A R Duncan, D P Waddingham, D J Crawford, N J Carlton, P L Jones, D V Leonard & A C Ca. Jockey: Damien Thornton. (20.7) Warrnambool Hyundai H., A$25,000, 1700m, time 1:48.37. Track heavy(10). Carried 58.00kg. Landslide was 1st and Dusty Mamba 2nd and Finley Harper 3rd. Trainer: Aaron Purcell. Owner: Purcells Enjoy Racing (Mgr: J D Purcell), L W Anderson, M J Donegan, S Nikolovski, M P Joyce, A R Duncan, D P Waddingham, D J Crawford, N J Carlton, P L Jones, D V Leonard & A C Ca. Jockey: Damien Thornton. 07/Mar/2017 1st of 7 --trial--Murrumbidgee TC Barrier Trial, 1000m. Ribs was 2nd and Pastiche 3rd. (12.8) Murrumbidgee TC Town Plate Prelude, A$30,200, 1200m, time 1:10.10. Track good(4). Carried 52.00kg (allowance -2.00kg). Man of Peace was 1st and Got the Goss 2nd and Leucura 3rd. Trainer: Ms M Hopkins. Owner: S P Hopkins. Jockey: Kristina Rayner. 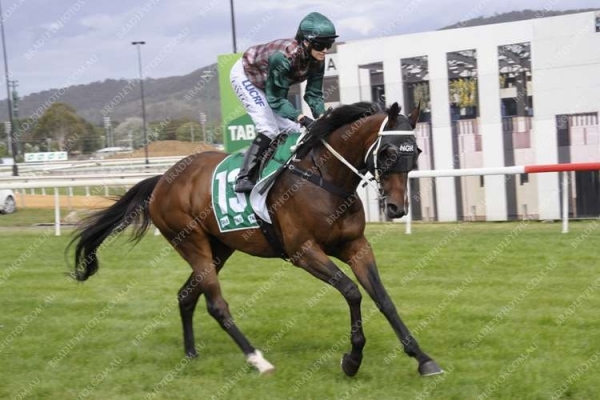 (5.6) Murrumbidgee TC Rock at the Races H., A$25,200, 1200m, time 1:10.64. Track good(4). Carried 55.00kg. Sophie's Image was 1st and Dutiful 2nd and Marco Man 3rd. Trainer: Ms M Hopkins. Owner: S P Hopkins. Jockey: M Heagney. (0.0) Cowra JC Service Club H., A$10,000, 1375m, time 1:25.13. Track good(3). Carried 54.00kg (allowance -4.00kg). Wollartant was 1st and More Than Art 2nd and Dungannon 3rd. Trainer: N F Gardner. Owner: Mrs D Gardner & N Gardner. Jockey: Ms C Gillman. (7.2) Canberra RC TAB Federal H., A$40,000, 2000m, time 2:05.57. Track soft(6). Carried 54.00kg. Just Dylan was 1st and Magic Over the Bay 2nd and Laughing or Crying 3rd. Trainer: N F Gardner. Owner: Mrs D Gardner & N Gardner. Jockey: Ms J Taylor.